The Mobile Health Solution for Professionals. 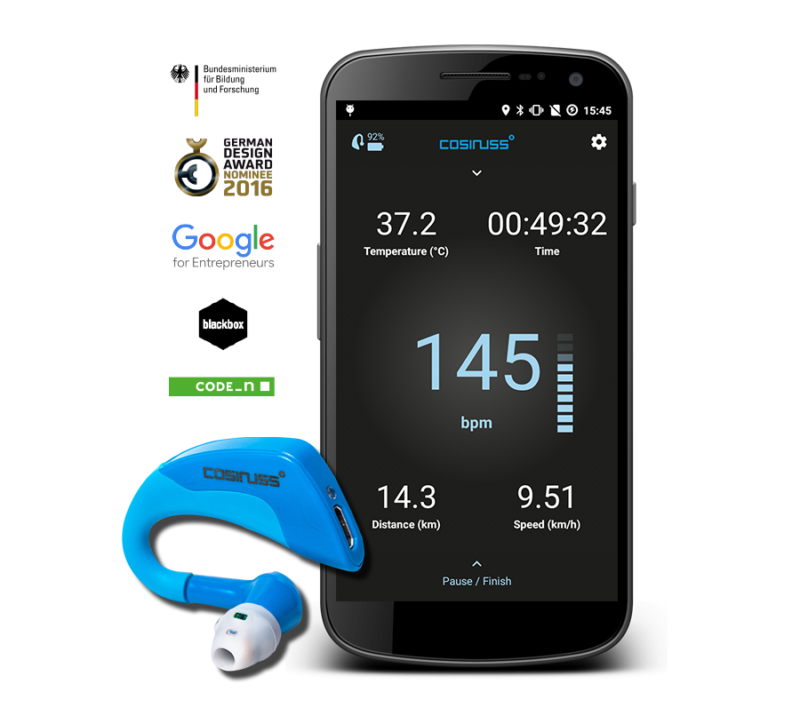 The cosinuss° One is a professional fitness tracker monitoring multiple vital signs with stunning accuracy. Inside this small and light ear plug the patented earconnect technology is taking vital sign monitoring to the next level. You can use the cosinuss° One with all devices featuring Bluetooth or ANT+. Heart Rate & More. Without a Cheststrap. This innovative in-ear wearable sensor combines high level of accuracy with ergonomics and comfort. Moving heart rate measurements from your chest into your ear? Here is how it works. 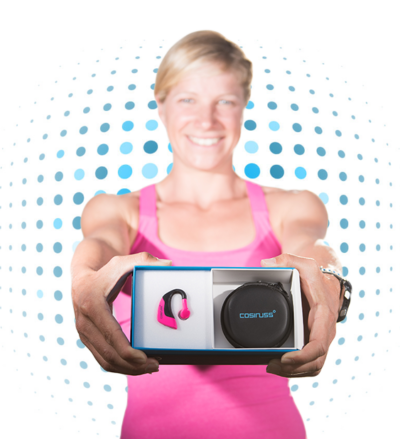 The cosinuss °One is the world´s smallest and lightest heart rate monitor – only 6.5 gram on 4 x 4 cm. Truly relevant medical data with the highest accuracy possible using deep maching learning. Connect to all devices featuring Bluetooth or ANT+ and integrate the cosinuss °One seamlessly. Sports watches, bike computers and fitness apps. Easy to wear, skin friendly and multifunctional. That´s what the cosinuss° One is famous for. Created to be more than a cheststrap. Do you feel like you can’t breathe? A tight chest band around your chest when you’re running is restricting you? Take a deep breath becuase these days are over now! With a lightweight device in your ear nothing will keep you from performing your best anymore. You rubbed on a scar from the last chest strap you wore? Or you can´t place it correctly because of your anatomy? Don´t worry anymore! We developed a fitting and ergonomic HR monitor for everyone to wear. I especially appreciate the high level of comfort and the body temperature measurement. Get hands on with cosinuss° earconnectTM technology. Upgrade your performance tracking and immediately increase your comfort and accuracy. No cheststrap anymore but more & accurate vital signs on your display.